Tiny in size – but huge in fun for April Fool’s Day! 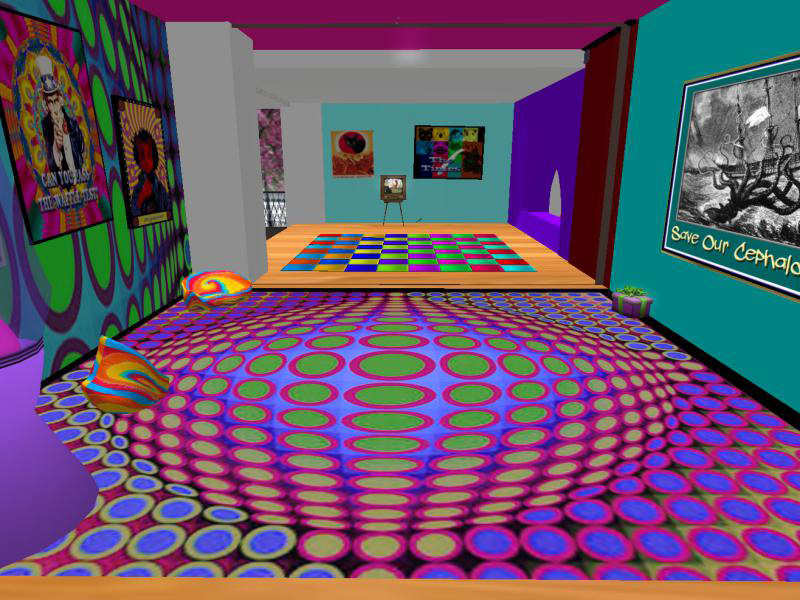 This holiday weekend, you might enjoy a visit to the special House of Fun that has been created in Raglan Shire – home of one of the major tiny communities in Second Life. It will be open until the end of tomorrow (April 1st). These tiny animals are well-known for their short attention spans, their love of cookies, their determination to dance at the slightest excuse (or even non-excuse) and for their mad (and awesome) building skills. All of these elements combine in a hilarious House of Fun they’ve built for April Fool’s Day – and it’s packed with gifts and surprises to find. It tests the laws of Second Life physics to the max. Five minutes in this house would convince Scotty that he was so wrong in so many ways. Last year they used a bought house – but this year it has been created from scratch – and one of the charms for me is that this pretty Frank Lloyd Wright styled house should be home to such craziness! The house is created by Toady Nakamura of Grendel’s and Clover Denzo – operating together as Cat and Frog Productions. 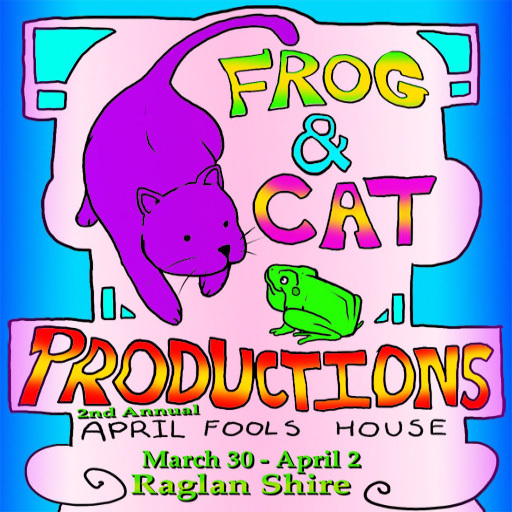 Clover started it last year, and asked Toady to help her develop the “tricks” – and so the name Cat and Frog Productions was born. This year, the house has been in planning stages for months, and it took almost a month to build it and set up all the “tricks”. But it will only be here for you to enjoy for three days – and one of those has already gone! 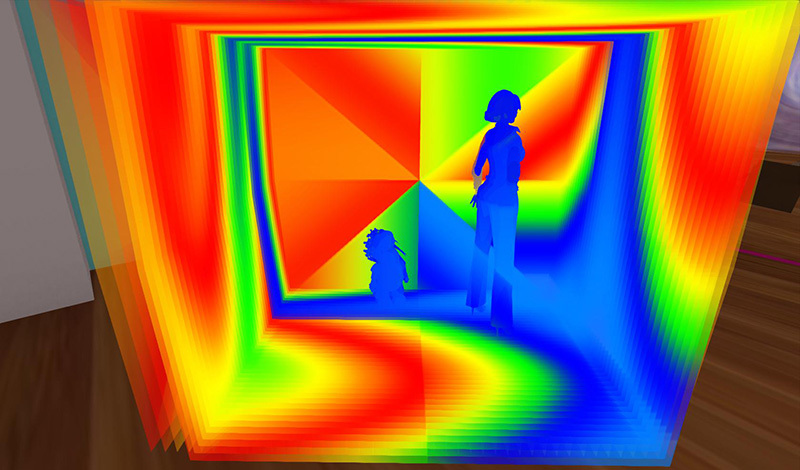 Some of the games and tricks are tiny-specific, but most can be enjoyed by avatars of all heights! So do visit – and enjoy! Previous Post: More about the SL10B Community Celebration!